President Donald Trump further stroked controversy on Friday when he used images of the September 11th attacks as a means of responding Representative Ilhan Omar. 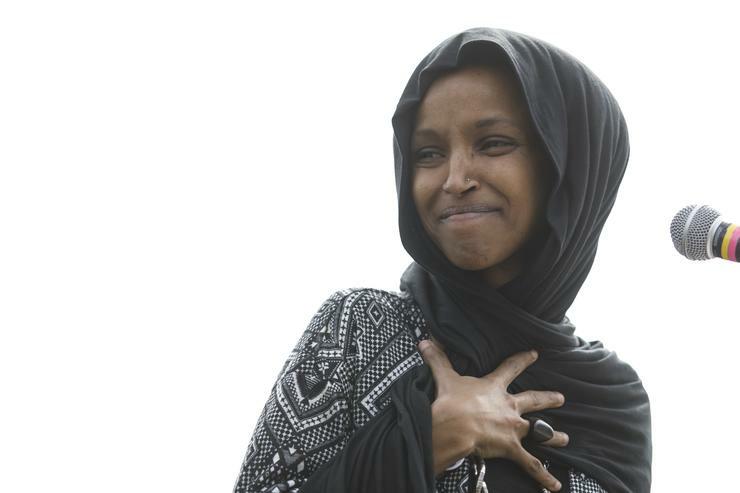 Using his routine medium of Twitter, the president used the images in retaliation for comments that Omar, one of the first Muslim women elected to Congress, made at an event hosted by the Council on American-Islamic Relations. The words spoken by Omar were particularly inflammatory to critics when she alleged that the Council was formed because the founders “recognized that some people did something and that all of us were starting to lose access to our civil liberties.” The NYT confirms that the Council on American-Islamic Relations was actually founded in 1994. Since Trump used Omar's words against her, his supporters have also argued that Omar's language downplayed the severity of the 9/11 attacks in which an estimated 3,000 people lost their lives. Omar's supporters have since voiced concern for her safety and have condemned Trump's use of the 9/11 photos as a means of argumentation. Now, the Yemeni American Merchants Association has announced a boycott of the New York Post after the publication issued a cover story, attacking Omar's words as Trump did, using a photo of the World Trade Center in flames, writing, "Rep. Ilhan Omar: 9/11 was 'Some people did something [...] Here's your something ... 2,977 people dead by terrorism." The group, which represents over 1,000 bodega store owners in New York City said in a statement that "This rhetoric threatens the safety and wellbeing of Omar, Muslim leaders, and the larger Muslim American community at a time when Islamophobia is at an all-time high." “It’s not the first time that the New York Post basically spreads hate and fear in their newspapers," added Ayyad Algabyali, the group's advocacy director. According to Algabyali, the boycott could be permanent.